Spacious flat blade is suitable to granulate bulky and thin plastics, increases efficiency; installed with electrical safety devices; double wall hopper with sound-proof material. Motor is equipped with overload protector, and power protection devices. Safety and environmental protection, low electricity consumption and durable. 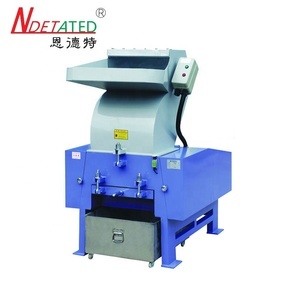 NDT Machinery (Suzhou) Co., Ltd.
plastic coffee capsule crusher XC-GP FLAKE TYPE CRUSHER Flake cutter blade are suitable for recycling and restoring of conventional sheets, tube plastics, profiles ,packing plastics, extrusion mold products and runners, etc. 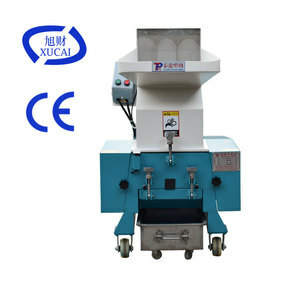 XC-GP series granulators are adopted with sealed bearings which can handle long hour operation ,the unique design of the cutter ensures the quality of granule sizes Within 400 models installed casters ,above 500 models installed anti vibration mounts as optional Product specification: Model XC-GP230 XC-GP300 XC-GP400 XC-GP500 XC-GP600 Crushing chamber(mm) 230*200 310*200 410*235 515*290 610*320 Crushing ability(kg/h) 100~150 150~200 200~250 300-350 350-450 Stationary cutter 2 2 2 2 2 Rotary cutter 6 9 12 15 18 Power(kw) 4 5.5 7.5 11 15 Dimensions (mm) 950*620*1190 1000*720*1290 1030*840*1390 1230*1010*1630 1320*1110*1830 Approx. Net weight(kg) 288 432 500 900 1100 Model XC-GP 800 XC-GP 960 XC-GP 1100 XC-GP 1200 Crushing chamber(mm) 815*470 960*610 1100*800 1200*800 Crushing ability(kg/h) 450 ~ 600 800 ~ 10 00 10 00~ 120 0 100 0- 150 0 Stationary cutter 4 4 4 4 Rotary cutter 24 30 33 36 Power(kw) 22/30 37/45/57 75 75 Dimensions (mm) 1735*1525*2180 1950*1760*2740 2510*2060*3700 2510/2100*3700 Approx. Features: 1. compact structure, rational layout ,space-saving technology. 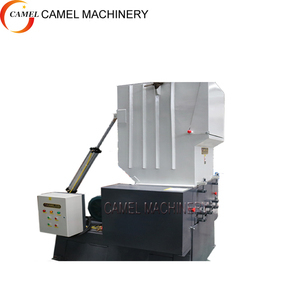 2. convenient maintainace and easy operation. 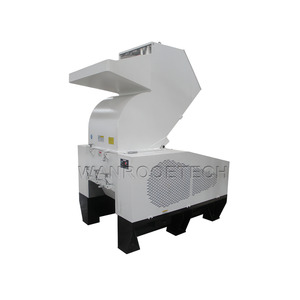 3. big crushing ratio, high efficiency, ideal output sizes. We produce series of Grinding machine, crusher machine, and beneficiation auxiliary equipment. We hope our perfect products and service can satisfy you,and welcome to our factory to visit . If you want see our quality certifications and all kinds of testing report, please just ask us for it. The main products are: coal rod machine equipment series, carbon powder molding equipment series, straw coal equipment series, type coal equipment series, mineral processing equipment series. 3.How about price9 Yes, we are factory and be able to give you the lowest price than market one, of course,the discount is based on the quantity. 3. View our company After-Sales Service: 1. Training how to instal the machine, training how to use the machine. Henan Mecru Heavy Industry Technology Co., Ltd.
Henan Shende Machinery Equipment Co., Ltd. If quality problems happen in guarantee period, our company will maintain for free. After-sales service isn't restricted by time and we will solve your problems in time. 2, Can you ship the machine to my address9 Yes, we could use DHL to express the machine. 2. After inspection, our machines are wrapped by plastic film and then carefully packed in wooden cases. 3. Air express, air freight, sea tranportation, can be provided by us. Exhibition hall Business card And now we are looking for oversea agents,if you are interested or have any question about our small plastic crusher machine prices / stone crusher / pill crusher,welcome to contact us and w e will always be here at your service. 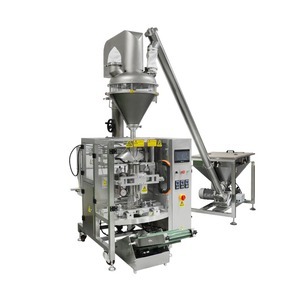 Alibaba.com offers 93 plastic coffee capsule crusher products. About 11% of these are plastic crushing machines. 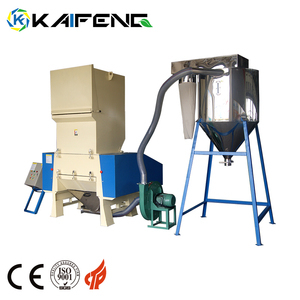 A wide variety of plastic coffee capsule crusher options are available to you, such as waste plastic crusher, film crusher, and bottle crusher. 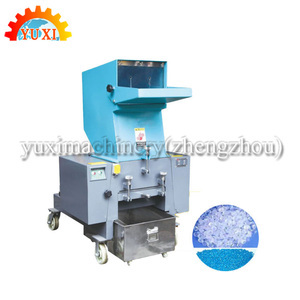 There are 13 plastic coffee capsule crusher suppliers, mainly located in Asia. The top supplying country is China (Mainland), which supply 100% of plastic coffee capsule crusher respectively. 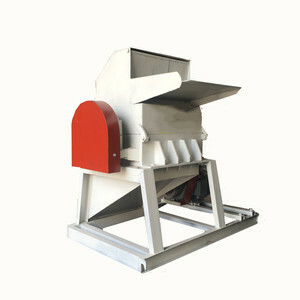 Plastic coffee capsule crusher products are most popular in Domestic Market, Southeast Asia, and Africa. You can ensure product safety by selecting from certified suppliers, including 10 with ISO9001, 3 with Other certification.